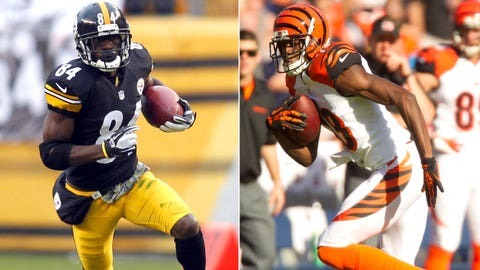 Antonio Brown (left) and A.J. Green have juicy encounters with the NFL's 26th-ranked (Packers) and 31st-ranked defenses (Vikings) for championship Week 16. Here are my top 50 wide receivers for Week 16 (standard-scoring leagues). This countdown doesn’t lean on a particular stat. It’s merely an educated best guess of which wideouts will tally the best combination of yards and touchdowns for the NFL’s 16th weekend.